I grew up using the Gregorian Calendar without much thought as to its origin (or realising it was called the Gregorian Calendar!) 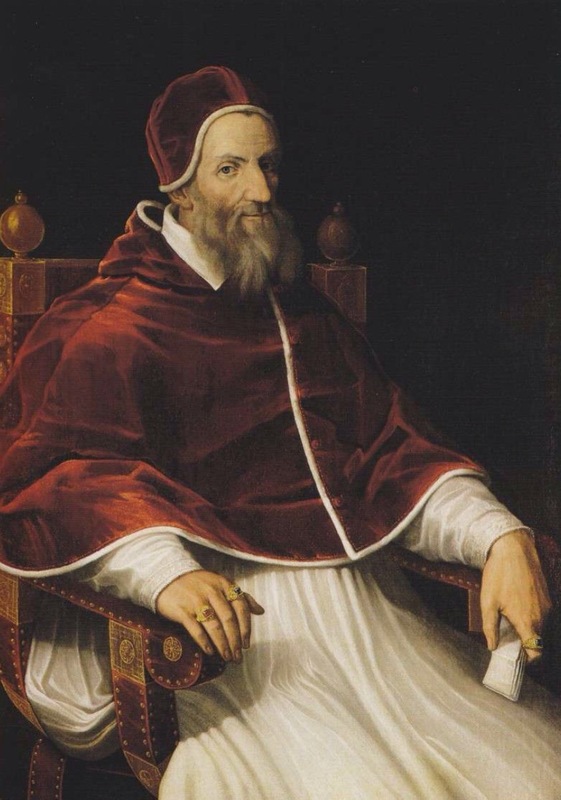 My digging back in time has taught me that this pervasive and powerful system dates back to Pope Gregory XIII. The terms anno Domini (AD) and before Christ (BC) are used to label or number years in the Julian and Gregorian calendars. The term anno Domini is Medieval Latin and means “in the year of the Lord”, but is often translated as “in the year of our Lord”. The calendar era is based on the traditionally reckoned year of the conception or birth of Jesus of Nazareth, with AD counting years from the start of this epoch, and BC denoting years before the start of the era. There is no year zero in this scheme, so the year AD 1 immediately follows the year 1 BC. This dating system was devised in 525 by Dionysius Exiguus of Scythia Minor, but was not widely used until after 800.The Gregorian calendar is internationally the most widely used civil calendar. It is named after Pope Gregory XIII, who introduced it in October 1582. The calendar was a refinement to the Julian calendar involving a 0.002% correction in the length of the year. The average length of the year in the Julian calendar was too long – it treated each year as 365 days, 6 hours in length, whereas calculations showed that the actual mean length of a year is slightly less (365 days, 5 hours and 49 minutes) As a result, the date of the actual vernal equinox had slowly (over the course of 13 centuries) slipped to 10 March, while the computus (calculation) of the date of Easter still followed the traditional date of 21 March. Pope Gregory XIII was Ugo Boncompagni, born the son of Cristoforo Boncompagni and of his wife Angela Marescalchi in Bologna, where he studied law and graduated in 1530. He became a close friend of Philip II of Spain whilst he served as his legate having been sent by the Pope to investigate the Cardinal of Toledo. When Boncompagni became Pope Gregory XIII, this link with the Spanish King influenced his foreign policy. He was a liberal patron of the recently formed Society of Jesus throughout Europe, for which he founded many new colleges. The Roman College of the Jesuits grew substantially under his patronage, and became the most important centre of learning in Europe for a time, known as the University of the Nations. It is now named the Pontifical Gregorian University. Pope Gregory XIII also founded numerous seminaries for training priests, beginning with the German College at Rome, and put them in charge of the Jesuits. Pope Gregory XIII is best known for his commissioning of the calendar after being initially authored by the Calabrian doctor/astronomer Aloysius Lilius and with the aid of Jesuit priest/astronomer Christopher Clavius who made the final modifications. When Gregory decreed, by the papal bull Inter gravissimas of 24 February 1582, that the day after Thursday, 4 October 1582 would be not Friday, 5 October, but Friday, 15 October 1582, the switchover was bitterly opposed by much of the populace, who feared it was an attempt by landlords to cheat them out of a week and a half’s rent. The new calendar duly replaced the Julian calendar, in use since 45 BC, and has since come into universal use. Because of Gregory’s involvement, the reformed Julian calendar came to be known as the Gregorian calendar. The Catholic countries of Spain, Portugal, Poland, and Italy complied. France, some states of the Dutch Republic and various Catholic states in Germany and Switzerland (both countries were religiously split) followed suit within a year or two, and Hungary followed in 1587. The Gregorian calendar has been the unofficial global standard, adopted in the pragmatic interests of international communication, transportation, and commercial integration, and recognized by international institutions such as the United Nations. Traditionally, English followed Latin usage by placing the “AD” abbreviation before the year number. However, BC is placed after the year number (for example: AD 2017, but 68 BC), which also preserves syntactic order. The abbreviation is also widely used after the number of a century or millennium, as in “fourth century AD” or “second millennium AD” (although conservative usage formerly rejected such expressions). Because BC is the English abbreviation for Before Christ, it is sometimes incorrectly concluded that AD means After Death, i.e., after the death of Jesus. However, this would mean that the approximate 33 years commonly associated with the life of Jesus would not be included in either of the BC and the AD time scales. Terminology that is viewed by some as being more neutral and inclusive of non-Christian people is to call this the Current or Common Era (abbreviated as CE), with the preceding years referred to as Before the Common or Current Era (BCE). Astronomical year numbering and ISO 8601 avoid words or abbreviations related to Christianity, but use the same numbers for AD years. The Gregorian calendar was not accepted in eastern Christendom for several hundred years, and then only as the civil calendar. The Gregorian Calendar was instituted in Russia by the Bolsheviks in 1917, Romania accepted it in 1919 under king Ferdinand of Romania (1 November 1919 became 14 November 1919), Turkey in 1923 under Ataturk, and the last Orthodox country to accept the calendar was Greece also in 1923. China, who used the oldest known calendar, resisted the Gregorian calendar until 1912 but it was not widely used throughout the country until the Communist victory in 1949. This widespread change occurred on October 1, 1949, when Mao Zedong, who led the People’s Republic of China, ordered that the year should be in accord with the Gregorian calendar. At the end of 2016, Saudi Arabia, the birthplace of Islam containing Mecca – Islam’s holiest site – shifted to the Western Gregorian calendar, bringing the oil producing kingdom in line with many of its energy customers and so it can pay workers less and save money. This was due to newly imposed austerity measures. Civil servants lost 11 days of payment after their salary became based on the solar Gregorian calendar rather than the lunar Hijri calendar. This seems to have brought us full circle, as when the new calendar was decreed by Gregory XIII, the populace believed the date had been changed due to pressure of their landlords who were going to gain financially at the time of switchover. This entry was posted in Uncategorized and tagged 16th century, Europe, Finance, Gregorian calendar, international adoption of calendar, Jesuits, Julian, Pope Gregory XIII, streamlining business, trade. Bookmark the permalink.